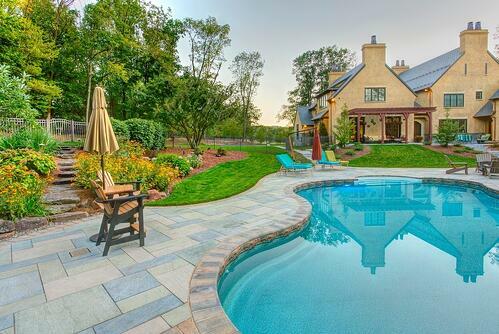 Pools can be a wonderful addition to create the ultimate backyard resort at your home. Maybe you love to entertain family or friends. Or possibly you just want to create an ideal spot for your children and their friends to play while you relax nearby. Regardless of your intent, adding a pool is a great choice for your home in Reading, York, Lebanon, Hershey, or Lancaster, PA. Since they are a larger investment than most outdoor renovations, it’s essential to make sure you find the best pool companies to create your backyard oasis. While the options are abundant, not all pool contractors will be able to help you achieve the ideal use out of your space. 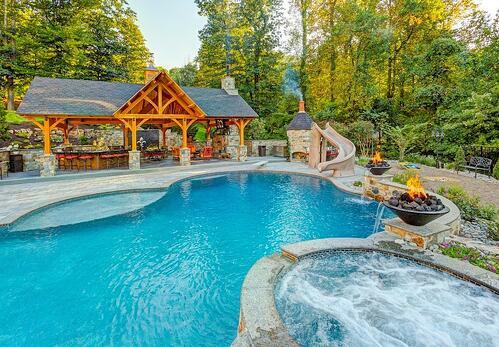 Unfortunately, a lot of pool builders in our area have tunnel vision. Their goal is to provide you with a nice pool and small, surrounding concrete patio. They build a lot of pools each year, and they want to finish and move onto the next project. Completing the whole process, from design to construction in as little as time as possible is their goal. A better option is to consider how your pool will interact with your entire backyard outdoor living area. Using a Registered Landscape Architect (RLA) to design not only your pool but the surrounding elements will ensure you get the best return on your investment. An RLA can help you to weigh pool design essentials whether they are part of your initial project or will be added in the years to come. This level of attention goes well beyond what most pool contractors provide in their contracts. Working with an RLA will ensure that these items are discussed and that there aren’t any big, unexpected (and costly) surprises as construction is underway. The whole process from initial talks to completion can take 7-12 months, depending upon the scope of your project. Careful consideration and planning takes time but is worth it in the long run. Planning your pool area requires asking all of the right questions and making smart decisions about your property. Taking your time for these considerations will give you an end result that you won’t see with a typical pool company that is just concerned with plunking a pool in the yard and heading off to the next project. At Earth, Turf, & Wood, we have lots of experience in the design and construction of pools and spas. Our unique, comprehensive pool design approach will ensure that every detail is addressed for success. Check out pictures of projects including pools and spas below. When you’re ready to start the discussion, we invite you to contact us for a free consultation.